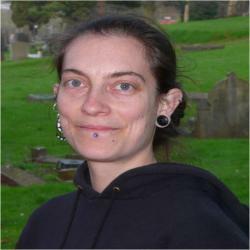 I have dedicated the past ten years to biodiversity conservation and research. I aim to apply knowledge gained from the study of ecological and evolutionary processes to solving conservation problems. 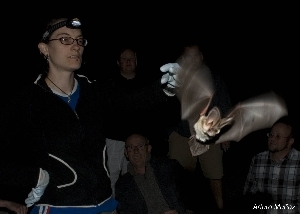 My research has focused on bats due to their high taxonomic and ecological diversity, their potential role as bio-indicators, and their great conservation need. My main research interests are conservation biology, landscape genetics, resource partitioning and community structure, and the ecological and evolutionary consequences of climate change and anthropogenic habitat modification. 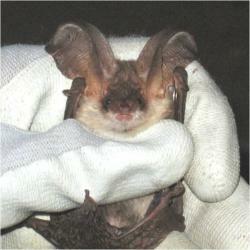 The grey long-eared bat, Plecotus austriacus is one of the rarest and least studied English bat species. 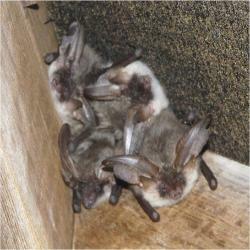 Yet the development of specific conservation management plans for the conservation of the grey long-eared bat has been hampered by lack of information on the behaviour, ecological requirements and phylogenetic affinities of the English population. In my PhD research, I use an integrated approach to determine the ecological and conservation requirements of P. austriacus, in the context of factors that limit the distribution and abundance of locally rare but globally common species. The project is divided into five parts, each addressing a different aspect of the ecology, behaviour, biogeography and genetics of P. austriacus, by employing a diversity of biological research methods including radio-tracking, microscopic diet analysis,molecular diet analysis, predictive present and future ecological niche modelling, phylogeographical analysis and a study of genetic population structure. 1. Use habitat suitability modelling to map the potential distribution of P. austriacus in Britain and determine the ecogeographical variables that limit its distribution. 2. Predict the potential impact of future climate change on the distribution of P. austriacus in Britain and Europe. 3. Analyse the effect of reproductive condition on night activity patterns and the ranging behaviour of P. austriacus. 4. Relate patterns of foraging habitat selection to habitat loss and degradation due to urbanisation and agricultural intensification. 5. Describe the diet of P. austriacus in Britain. 6. Use molecular diet analysis to investigate the extent of dietary resource partitioning among cryptic bat species (P. austriacus and P. auritus). 7. Assess the phylogeography of the English P. austriacus population, its relation to European populations and historical patterns of colonisation and population expansion. 8. Determine the genetic population structure, effect of landscape elements on patterns of gene flow, extent of isolation of maternity colonies, and the genetic viability of the English P. austriacus population. I combined acoustic monitoring with filming and an experimental approach to research the effect of interspecific competition and resource partitioning on desert bat assemblages, as well as the importance of the size and permanency of open bodies of water for the maintenance of biodiversity in desert environments. The project involved a six week study of an Amazonian bat community, to research the effect of habitat complexity and plant diversity on tropical bat diversity and community structure. Razgour O, Hanmer J, Jones G (2011) Using multi-scale modelling to predict habitat suitability for species of conservation concern: The grey long-eared bat as a case study. Biological Conservation 144: 2922-2930. Razgour O, Korine C, Saltz D (2011) Does interspecific competition drive patterns of habitat use in desert bat communities? Oecologia 167: 493-502. Razgour O, Korine C, Saltz D (2010) Pond characteristics as determinants of species diversity and community composition in desert bats. Animal Conservation 13: 505-513.